From dreading the chulha to loving it! Kush is one of the key trainers with SCF and also the founder of Rural Odyssey. Although I have stayed away from the Chulha for the most of my life, I still somehow feel connected to the concept – previously unwillingly, but now willingly. 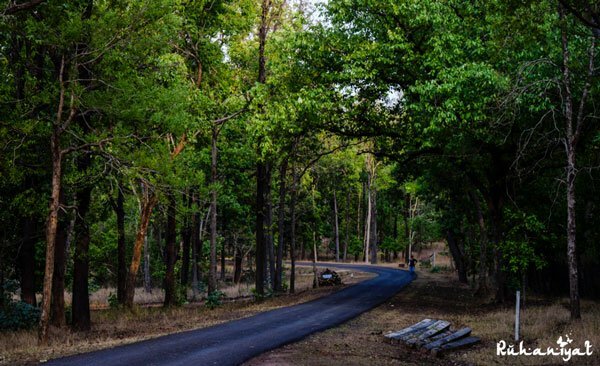 It started with the summer & winter vacations to my village and continued with the love for hiking and travelling to remotest of the places in India. Living in a city like Ghaziabad always kept me at a distance from the Chulha. My only exposure was the times when I would to go to my little village in Punjab. That little time was more than enough to develop my taste buds, taste buds which appreciated food cooked on a Chulha over that cooked on modern LPG cook-stoves. However, it was the food and not the Chulha that I liked. It not only used to make me cry (sore eyes), but my mother too. I dreaded it. It was only many years later I realized how hazardous that smoke was for every one of us. Sometimes I wonder, maybe that smoke is the reason for my mom’s breathing problems and my father’s lung cancer. They spent nearly 25 years of their lives in that village, literally living beside a Chulha. Not to take any credit away from Delhi’s infamous air quality though! In January 2017, I was reconnected to the Chulha. This time it was magical, it was smokeless and 50% more fuel efficient – courtesy Russell and Tanzin. I was committed to the concept the very moment I heard about it. 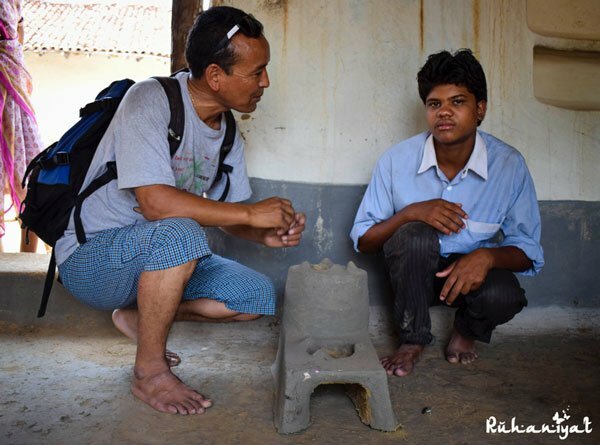 Few years back, I literally fought in my village home to move the traditional cookstove out of the kitchen, but now they can have one inside the kitchen itself; amazing! After two learning workshops in Delhi, I was part of the team and ready to work in the tribal belts of Kanha Tiger Reserve. Whatever I know of central India is only through books and news, my knowledge is very limited. In fact, this was my first visit. 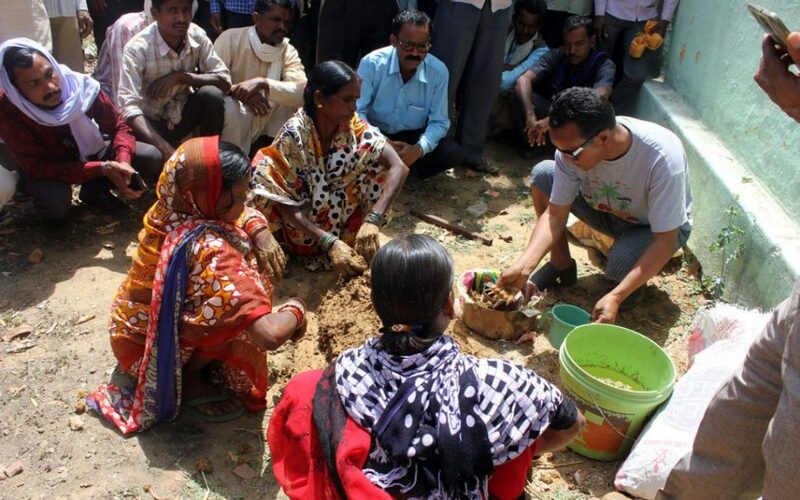 We had 4 days to give workshops in four different villages in the buffer areas of Kanha Tiger reserve. I wouldn’t have imagined going to these villages, not even with Rural Odyssey. I have never seen such a rustic landscape anywhere in India, not even in Rajasthan. 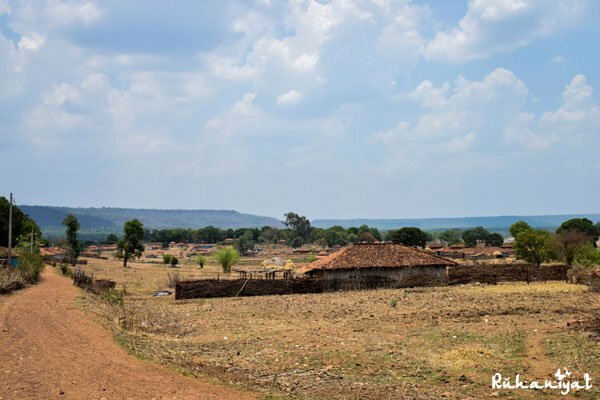 The forests, the mud houses, the people, the carts – everything had a character about it which enchanted me. We couldn’t have picked the better region for the workshops than this. Not only are the indoor cookstoves are resulting in declining health of women and children, but haphazard felling of trees (mostly by the brick industry and few other industries from the region) has affected the wildlife adversely. 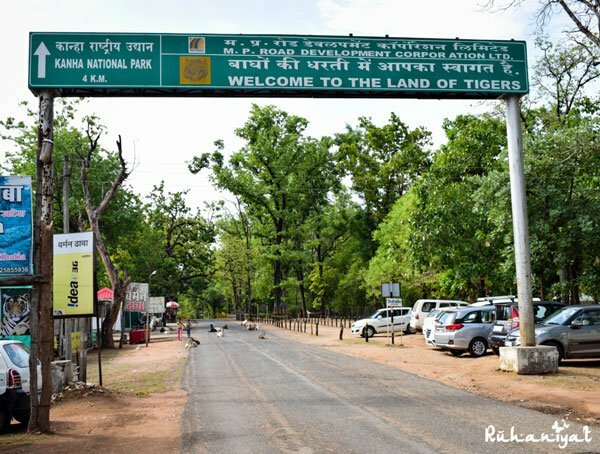 This was our little step to help the Forest Department in protecting the forests, and therefore tigers and other wildlife. Not to mention the numerous women and children who probably married the Chulha, and the smoke, from the moment they were born.In the span of four days, we trained over 120 people in four different villages. Although the response was mixed, that didn’t deter us. Every single man, woman or child who showed interest was our hope in making this world a better place. Those lit-up eyes upon seeing the fire without the smoke was our reward, the change we want to bring. 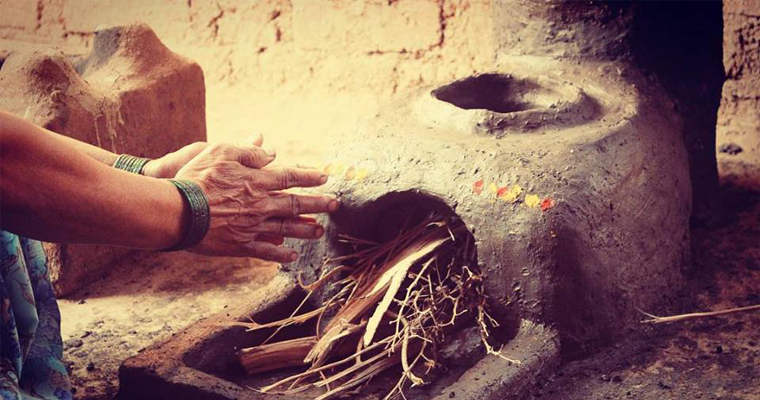 We installed two smokeless cookstoves in each village until day three. Our happiness had no bounds on day four in the last village Jaitpuri. 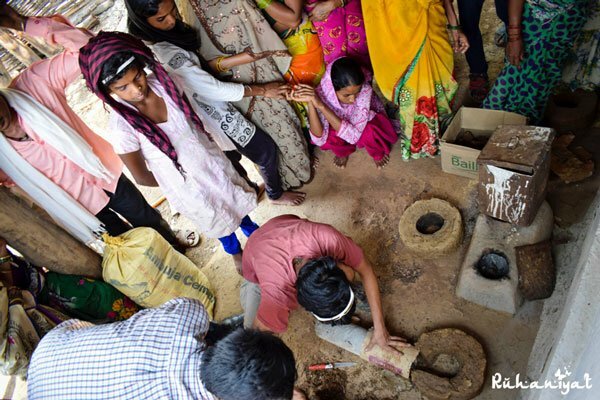 In Jaitpuri, village president and forest guard took an initiative and made five smokeless cookstoves from their learning in the March workshop. 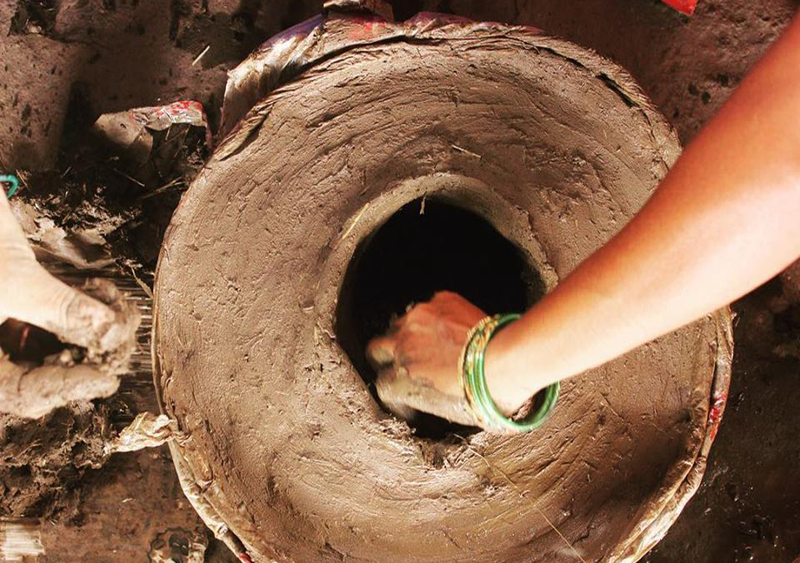 After an exhausting three days, the sight of those cookstoves invigorated us with an immense amount of energy. While Tanzin Baba decided to fix the Chulhas made by the community, Arjun and I decided to train the people by making a new one. There was something in the air and the participation, we were making a Chulha in sun with mercury well above 40 degrees. The participation and enthusiasm was simply overwhelming and strengthened our belief in what we are doing. Tanzin Baba with his shagird Suresh and the smokeless cookstove made by him in Jaitpuri. Nearly all of my travels have a purpose behind them. A purpose to share what I know and learn what I can. 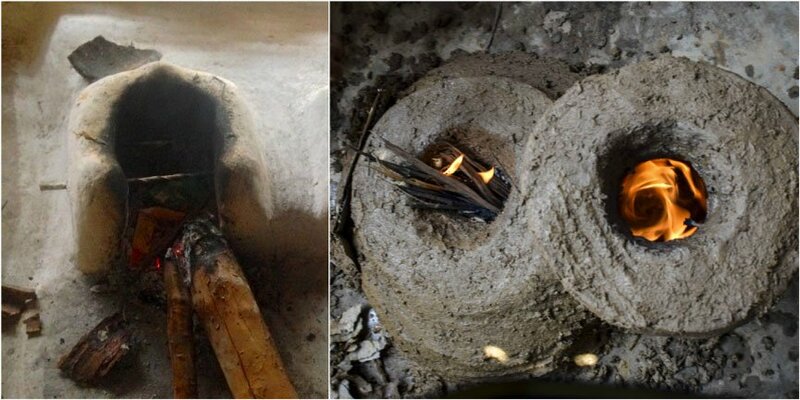 With this skill of making a smokeless Chulha in my backpack, I am sure my future travelling is going to be more impactful, sustainable, and fun! Save trees today! They shall forever welcome you like this.